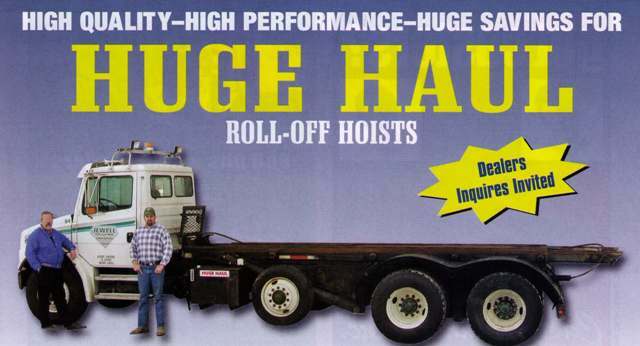 "This Huge Haul Roll Off Hoist above is 12 years old and is on it's second Chassis. It has moved over 400,000 boxes, and is still in daily service." 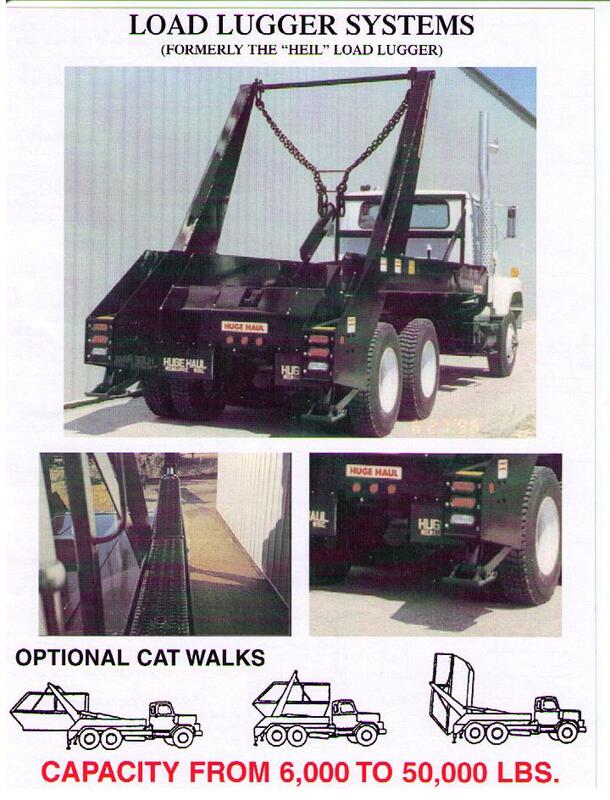 we have ordered two more hoists to add to our fleet." 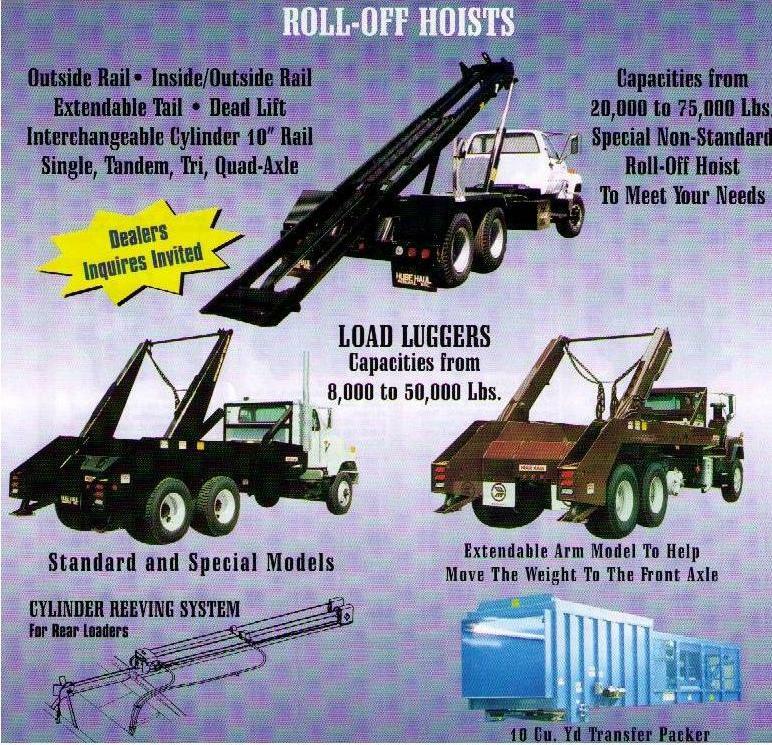 We manufacture Roll Offs and Load Luggers to meet your special needs. Extra heavy duty frame rails and longer rails. No need to buy a standard hoist and then have to make changes. Other sizes and capacity available to meet your needs.